We invite you to the all-day opening of the exhibition PORTABLE LANDSCAPES at the Latvian National Art Museum's Great Exhibition Hall on Saturday, 28 April 2018 10:00 a.m. to 5:00 p.m. 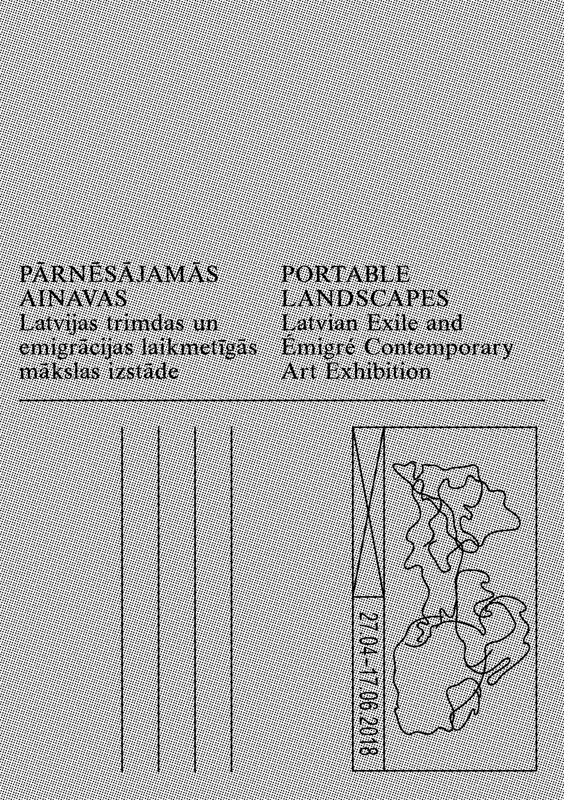 The exhibition Portable Landscapes follows yarns, which, through various corners of the world, take us to the stories of several creative, often relatively unknown Latvian émigré and exile personalities and informal groups, placing them in a broader context of 20th century art events, migration, and globalization. In addition to historical stories, which will be revealed with the help of archives, works of art and artefacts, the exhibition has welcomed the participation of contemporary Latvian artists who live and work abroad, as well as artists who have addressed the theme of migration or, with their interpretations, are adding to some of the narratives. Curator-guided tours in Latvian and English.